A good field gathers in Georgia for the RSM (formerly McGladrey) Classic. We look at the trends needed to win the tournament. 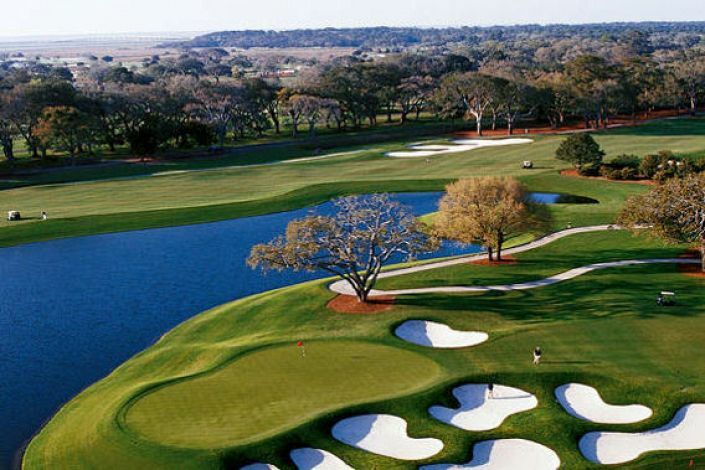 This week the PGA Tour visits Sea Island Resort in St. Simons Island for the RSM Classic (formerly known as the McGladrey Classic). As last year they will be using two courses, the Plantation Course and the Seaside Course will rotate for the first two rounds before the Seaside Course takes centre stage over the weekend. The Seaside Course ranked as the easiest of the par-70s on tour in 2012; a winning score of -16 saw Tommy Gainey triumph. Not an especially long track, Seaside relies on accuracy as its defence; missed fairways can end up as bogeys. Because the Seaside Course is ranked as one of the easiest on tour, it often descends into a putting competition. The last seven winners ranked inside the top-60 on tour for total putting. The Seaside Course measures only 7,005 yards but accuracy is important, so you have to be driving it well. Six of the last eight champions ranked inside the top-60 on tour for total driving. A par-70 course with only two par-5s birdies have to be found else where. Six of the last eight winners ranked inside the top-60 on tour for par-4 scoring average.